« If you show me yours ….. The most important question ….. The swimmer Michael Phelps is the most decorated Olympian of all time. He’s won 22 medals of which 18 have been gold medals. Phelps says that his ability to perform under pressure is one of the key factors behind his success. No matter what happens in your life (E), you can change your response (R) to that event until you get the outcome (O) you want. treading on Phelps’ swimming goggles before a race so that he would have to swim without them. Bowman wanted to see what impact these events (E) had on Phelps attitude by monitoring his response (R). Initially, the young Phelps would get frustrated, angry and feel like giving up, but when anything negative happened Bowman would get Phelps to ask himself the W.I.N. question: What’s Important Now? Just after he had dived into the water, in the final of the 200 metres butterfly at the 2008 Olympic Games, Phelps’ goggles began to leak, which meant that his vision was completely blurred. At this moment, Phelps asked himself the W.I.N. question. He realised that the only thing he could control now was his reaction. Although the turns at the end of each length became a bit tricky, Phelps won the race in a world record time. 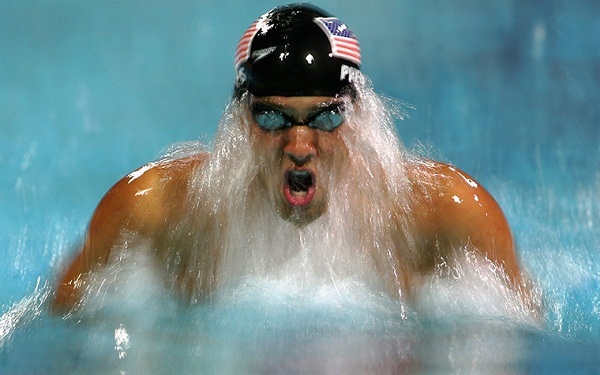 After the race, Phelps was asked how the water in his goggles had hindered him. Phelps replied, "The fact that I couldn’t see allowed me to focus even more on my stroke, rather than on what the other guys were doing." In the words of Bob Bowman, "Your attitude will determine your altitude and how high you will fly in life." Tony Blair and David Cameron went to the same barber shop. As they sat there, each being worked on by a different barber, not a word was exchanged. The barbers were afraid to start a conversation, for fear it would turn to politics. Blair was quick to stop him jokingly saying, "No thanks, my wife Cherie, will smell that and think I’ve been in a brothel ….."
The second barber turned to Cameron and said, "And, how about you, Mr. Cameron …..?" Cameron replied, "Go ahead mate, my wife doesn’t know what the inside of a brothel smells like ….."
This entry was posted by admin on March 2, 2014 at 7:45 am, and is filled under Sunil Bali, The Art of Awesome Living, The Book of Awesome Humour. Follow any responses to this post through RSS 2.0. Both comments and pings are currently closed.